The action hero fan club! Welcome to our own action hero, Biraj Bhatta website - Biraj Bhatt is one of the top Nepali actor who has also made a good impression in Bhojpuri movies. 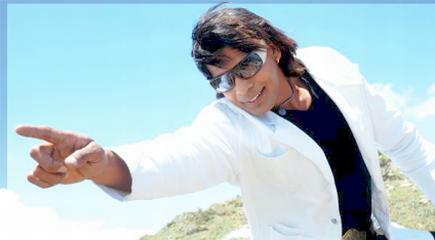 Biraj is one of the most popular action actor in Nepali and Bhojpuri movie industry. Biraj Bhatt’s Bhojpuri film Diljale was released during Holi. The movie stars Nirahua with Biraj. Diljale is produced and directed by a well known Bhojpuri movie director and producer Ramakant Prasad. Ramakant’s previous hit films include Lagal Raha Ae Raja Ji and Daag. The film start Nirahua, Rani Chatterjee, Biraj Bhatt, Swati Verma, Bali, Anand Mohan, Ritu Pandey, Santosh Srivastava, Deepak Bhatia, Gopal Ray, Niraz and others. In the movie there are sixteen different songs, including item numbers done by item dancers Seema Singh and Sri Kankani. i am shankar guru from (bihar)9814032592 sakript and song writer and actor. ma abhi punjabi film me kam kar rha hu aage bhojpuri film me kam karna chahta hu hamare pass kai achhi sakript and song pari ha aap log chahe to ham aap logon se jur sakte ha.thanks.call.9814032592.9814132592.9914132592.